Jacie Scott may have retired, but she isn’t finished dancing. At the age of 25, Jacie Scott announced that she was retiring. But the 10 Most Beautiful Winner and former Park Cities People reporter wasn’t planning on spending her time post-Dallas Cowboys Cheerleaders idly. Instead, she’s trading in her famous blue-and-white uniform and jump split kicks (see here) for the eye-high kicks of the Radio City Rockettes. 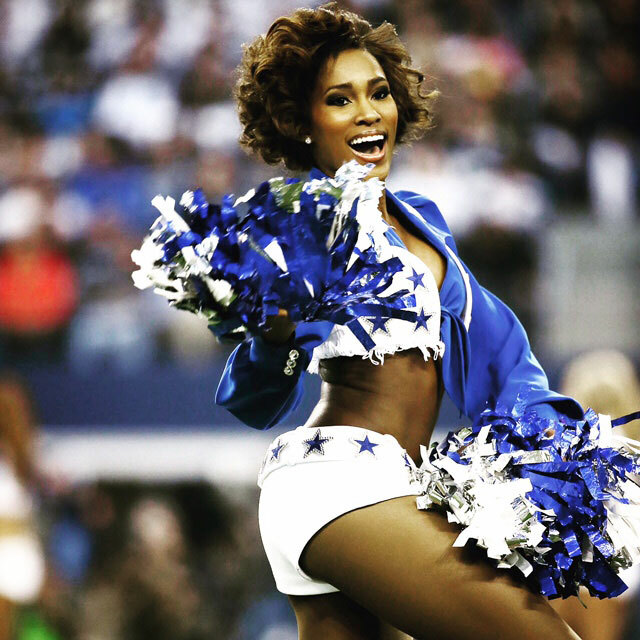 But before she leaves the Lone Star State, we caught up with Scott on life after the DCC and how she got ready for her new role. When did you retire from the Dallas Cowboys Cheerleaders and why? It’s still so weird to say that I’m retired! It was a tough decision to make, but I retired from the DCC in 2016 after four seasons. After reflecting on my career, I felt like it was a great place to close the chapter. I did some incredible things, like going on USO Tours, and made some really amazing friends while part of the organization. I’ll miss performing at the games. It was always such a thrill being on the sideline. Of course, the season after I retire would be the most exciting one yet thanks to Dak and Zeke. My family likes to tease me about that. After I retired, I got back into the dance studio to train. I was taking ballet, tap, jazz, contemporary, modern… every style of dance. I knew I needed to get my technique back in order if I wanted to continue pursuing dance as a career. *I first auditioned for Rockettes in May, just a few weeks after turning in my DCC uniform. I made it through all of the cuts and into the callback round of the audition, but never received the official “call” from Radio City Music Hall with a contract offer. The same thing happened when I auditioned again that following August. In the meantime, I continued to write as a freelancer, manage social media accounts for small businesses, and teach dance classes and at The Bar Method. I also founded founded a non-profit in honor of my mother who passed away from Pancreatic Cancer named Declare Hope. Why did you want to try out to be a Rockette? After seeing the show for the first time, I was so inspired by the level of talent and performance quality that I knew I had to at least try to make my dream a reality. I was retired from the DCC, but still had the itch to perform. I also knew making it to Radio City Music Hall would be a massive leap, so I had my work cut out for me. But I just had to give it a shot. How did your prep for the Dallas Cowboys Cheerleaders try outs differ from the Rockettes? Interestingly, I didn’t plan to try out for the DCC, but did it after college on a whim! So, my prep was that I had been dancing while at school at LSU. After that, my prep was cardio, exercising, and taking classes to help with retention for all the choreography we learned in training camp. To prepare for the Rockettes audition, I needed to go back to the basics and fine-tune my dance technique. That meant a steady schedule of ballet classes, jazz classes, contemporary classes, modern classes, and tap classes. Get my ankles loose again for tap dancing. Dust off my heeled character shoes to practice dancing in. It was a lot. What was your try out for the Rockettes like? I tried out twice without luck before my audition in April, where I made it through the callbacks. They notified everybody that we would hear back on offers by July. 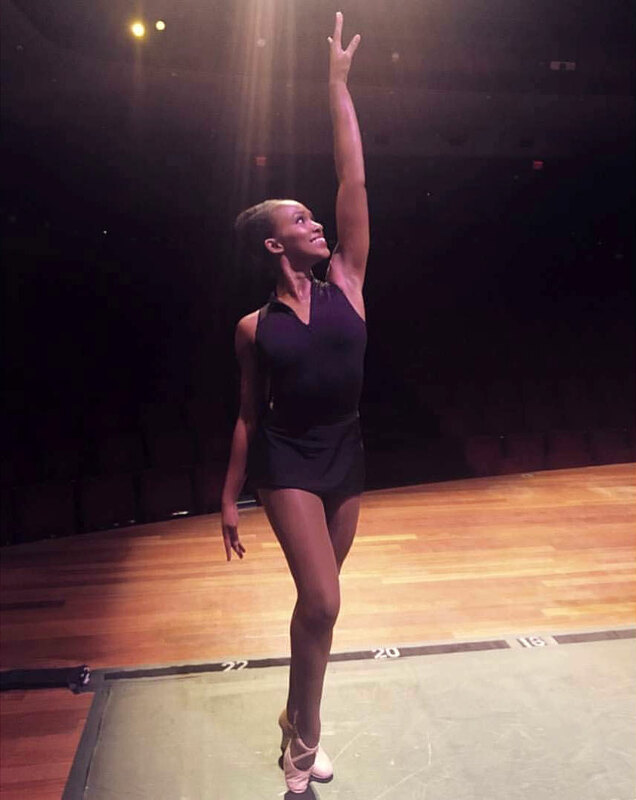 Toward the end of the month, I received a call from the Rockettes Summer Intensive program offering me a full scholarship to attend the Invitational Week—I couldn’t turn it down. It was a tremendous honor to receive a scholarship in the first place and it was another opportunity to grow in their style. So what was it like hearing your name called? I literally blacked out, and of course started to ugly cry. I couldn’t believe it. After a few seconds, I stumbled forward to accept the offer and hug everyone in my line of vision—Rockettes, the directors, literally everyone. I’ll never forget that moment. It’s still so surreal to me. And to be one of three. I still can’t believe it. But I’m so happy and honored that they saw something in me. The challenge! The Rockettes Summer Invitational Week was one of the HARDEST weeks of my dance career. After nearly eight hours of dancing a day, I was mentally and physically exhausted. I had blisters all over my feet. I took ice baths nightly. We learned three numbers, two from their actual Christmas show, and performed at a showcase at the end of the week. I remember thinking on the third day how hard it was and how tired I was, but in the same breath thinking how happy I was.! What’s the biggest difference between the Dallas Cowboys Cheerleaders and Rockettes? The style of dance. The Rockettes are the world’s most famous precision-based dance company known for their eye-high kicks and clean, precise dances, and of course the annual Christmas Spectacular show performed at Radio City Music Hall. The DCC are internationally acclaimed dancers and cheerleaders and known as the best in the NFL. Both organizations have built tremendous legacies and are iconic in their own right. I’m super blessed to say that I am and have been a part of both! Are there any other Dallas Cowboys Cheerleader alumnus that are part of the Rockettes? Not currently! But a former teammate of mine, Olivia Sharber, dances in the ensemble cast for the show! We were DCC together for the 2012 and 2013 seasons. I’m super excited to get to share the stage with her again for a few numbers at Radio City! She’s one of the many people who helped me on this journey. I couldn’t have done this without the encouraging push I had from the people around me, helping me when I though I couldn’t make this dream a reality.